Draft: 2010, Washington Nationals, 2nd rd. Samuel Robert Solis...University of San Diego alum was a First-Team All-West Coast Conference performer as a junior (5-1, 2.74 ERA in WCC play)... Finished 9-2 with a 3.42 ERA in his final collegiate season..Is a 2007 graduate of Agua Fria (AZ) High...Was drafted in the 18th-round of the 2006 MLB First-Year Player Draft by ARI, but did not sign...Parents, Sallie and Bob, founded an AIDS orphanage in South Africa. Finished the season on a high note with 11 consecutive scoreless appearances (9.2 IP), going 1-0 with two holds, 12 strikeouts, four walks, and a .094 opp. AVG from Aug. 27 through the end of the season...Missed 65 games (April 19-July 1) on the disabled list with left elbow inflammation... From recall Aug. 4 through end of season went, 1-0 with one save, 1.59 ERA (3 ER/17.0 IP), 20 strikeouts, seven walks, one home run and a .121 opp. AVG...Allowed just one of 11 inherited runners to score over that stretch (9.1%)...Was one of 11 different Nationals to record least one save, the most of any club in franchise history and the most in MLB in 2017...Appeared in three NLDS games. Began the season with Triple-A Syracuse before being recalled to the big leagues on April 27...Remained with Washington throughout the 2016 season, save for two stints on the disabled list, July 18-25 (right knee soreness) and Aug. 17 to Sept. 26 (left shoulder inflammation)... Recorded a 2.41 ERA while striking out 10.3 batters per nine innings...Left-handed batters hit .200 (12-for-50) with 19 strikeouts and five walks...Recorded nine holds... Lone home run was surrendered in his first game of the season, April 27 vs. PHI...From the start of the season through July 1, posted a 1.26 ERA (4 ER/28.2 IP), 34 strikeouts and a 0.91 WHIP in 22 games...Appeared in all five games of the 2016 NLDS against the Los Angeles Dodgers...Earned the win in Game 3 at LAD (1.2 IP, H, BB, SO)...Opposing batters hit . 176 against him in the Postseason (3-for-17). Entered the season as the highest-rated left-hander in Washington's system and the No. 15 prospect in Washington's chain, per Baseball America... Was called to the Major Leagues on April 29 and made his MLB debut the next day at NYM (Hold, 2.0 IP, H, SO)...Enjoyed four stints with the Nationals... Was on the 15-day DL from May 22 (retro May 18) - June 11 with left shoulder inflammation...Offered scoreless relief in 14 of his 18 appearances out of the bullpen...Was not charged with an earned run over his final eight appearances...Began the year with Double-A Harrisburg while also spending time with Triple-A Syracuse...Posted a 4.39 ERA in 20 MiLB appearances. Was limited to just five starts in 2014 due to lingering back pain and left elbow soreness...Began the year in Nationals Extended Spring Training before reporting to Class-A Hagerstown on May 16...Made starts for the Suns, Single-A Potomac and Double-A Harrisburg before being shut down until late-Aug.
Began '13 working in Extended Spring Training and joined rotation at Potomac of the Single-A Carolina League in late May...did not allow a run 4 times in 12 starts for the P-Nats...pitched primarily in starting role, but spun 5.0 scoreless innings to grab the win in lone relief appearance on June 27 vs. Myrtle Beach...following the season, led the hitter-friendly Arizona Fall League in wins (5) and strikeouts (29) en route to a 2.17 ERA in 7 starts...in 29.0 innings, which ranked 3rd in the AFL, was touched for only one long ball. Did not pitch after undergoing "Tommy John" ligament-replacement surgery...Procedure was performed by Dr. Lewis Yocum on March 6, 2012. Won a career-high eight games and recorded a 3.26 ERA in 17 combined starts for Potomac and Single-A Hagerstown...Thrived in season's final two months, going 6-2 with a 2.72 ERA in 10 Carolina League starts...Made seven starts and finished 1-1 with a 4.50 ERA for Scottsdale in his second tour in the Arizona Fall League in as many seasons. Made two starts and spun 4.0 scoreless innings in his professional debut with the GCL Nationals...Pitching for Hagerstown, worked 2.0 scoreless innings in first pro start, Sept. 1 at Lexington...Pitched in Arizona Fall League (1-0, 3.80 ERA, 6 games/5 starts for Scottsdale) for the first time. Inbox: How will Nationals match up in NL East? 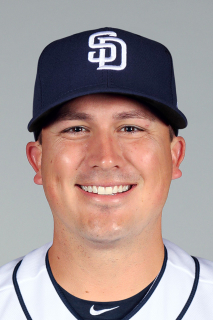 March 13, 2019 San Diego Padres signed free agent LHP Sammy Solis to a minor league contract and invited him to spring training. March 13, 2019 LHP Sammy Solis assigned to El Paso Chihuahuas. March 9, 2019 Washington Nationals released LHP Sammy Solis. August 31, 2018 Washington Nationals recalled LHP Sammy Solis from Syracuse Chiefs. August 14, 2018 Washington Nationals optioned LHP Sammy Solis to Syracuse Chiefs. July 22, 2018 Washington Nationals recalled Sammy Solis from Syracuse Chiefs. June 30, 2018 Washington Nationals optioned LHP Sammy Solis to Syracuse Chiefs. August 4, 2017 Washington Nationals recalled Sammy Solis from Syracuse Chiefs. August 2, 2017 Washington Nationals optioned LHP Sammy Solis to Syracuse Chiefs. July 27, 2017 Washington Nationals recalled Sammy Solis from Syracuse Chiefs. July 10, 2017 Washington Nationals optioned LHP Sammy Solis to Syracuse Chiefs. July 10, 2017 Syracuse Chiefs activated LHP Sammy Solis. July 1, 2017 Sammy Solis roster status changed by Washington Nationals. June 30, 2017 Washington Nationals transferred LHP Sammy Solis from the 10-day disabled list to the 60-day disabled list. Left elbow inflammation. June 15, 2017 Washington Nationals sent LHP Sammy Solis on a rehab assignment to Syracuse Chiefs. April 19, 2017 Washington Nationals placed LHP Sammy Solis on the 10-day disabled list. Left elbow inflammation. September 26, 2016 Washington Nationals activated LHP Sammy Solis from the 15-day disabled list. August 17, 2016 Washington Nationals placed LHP Sammy Solis on the 15-day disabled list retroactive to August 16, 2016. Left shoulder inflammation. July 25, 2016 Washington Nationals activated LHP Sammy Solis from the 15-day disabled list. July 24, 2016 LHP Sammy Solis assigned to Hagerstown Suns. July 22, 2016 Washington Nationals sent LHP Sammy Solis on a rehab assignment to Potomac Nationals. July 18, 2016 Washington Nationals placed LHP Sammy Solis on the 15-day disabled list retroactive to July 8, 2016. Right knee inflammation. July 18, 2016 Washington Nationals placed LHP Sammy Solis on the 15-day disabled list retroactive to July 8, 2016. Right knee. April 27, 2016 Washington Nationals recalled LHP Sammy Solis from Syracuse Chiefs. March 14, 2016 Washington Nationals optioned LHP Sammy Solis to Syracuse Chiefs. September 1, 2015 Washington Nationals recalled Sammy Solis from Syracuse Chiefs. July 29, 2015 Washington Nationals optioned LHP Sammy Solis to Syracuse Chiefs. July 17, 2015 Washington Nationals recalled Sammy Solis from Syracuse Chiefs. July 16, 2015 LHP Sammy Solis assigned to Syracuse Chiefs from Harrisburg Senators. July 11, 2015 Washington Nationals optioned LHP Sammy Solis to Harrisburg Senators. July 6, 2015 Washington Nationals recalled Sammy Solis from Harrisburg Senators. June 11, 2015 Washington Nationals optioned LHP Sammy Solis to Harrisburg Senators. June 7, 2015 Washington Nationals sent LHP Sammy Solis on a rehab assignment to Harrisburg Senators. May 22, 2015 Sammy Solis roster status changed by Washington Nationals. April 29, 2015 Washington Nationals recalled LHP Sammy Solis from Harrisburg Senators. March 16, 2015 Washington Nationals optioned LHP Sammy Solis to Harrisburg Senators. October 13, 2014 Sammy Solis roster status changed by Washington Nationals. September 29, 2014 Washington Nationals recalled Sammy Solis from Harrisburg Senators. September 2, 2014 Harrisburg Senators activated LHP Sammy Solis from the 7-day disabled list. August 22, 2014 Harrisburg Senators sent LHP Sammy Solis on a rehab assignment to GCL Nationals. June 3, 2014 Harrisburg Senators placed LHP Sammy Solis on the 7-day disabled list. May 22, 2014 LHP Sammy Solis assigned to Harrisburg Senators from Potomac Nationals. May 21, 2014 LHP Sammy Solis assigned to Potomac Nationals from Harrisburg Senators. May 17, 2014 LHP Sammy Solis assigned to Harrisburg Senators from Hagerstown Suns. May 16, 2014 LHP Sammy Solis assigned to Hagerstown Suns from Harrisburg Senators. April 3, 2014 Harrisburg Senators placed LHP Sammy Solis on the 7-day disabled list. March 17, 2014 Washington Nationals optioned LHP Sammy Solis to Harrisburg Senators. November 20, 2013 Washington Nationals selected the contract of Sammy Solis from Potomac Nationals. July 15, 2013 Sammy Solis roster status changed by Potomac Nationals. July 5, 2013 Potomac Nationals sent LHP Sammy Solis on a rehab assignment to GCL Nationals. June 27, 2013 LHP Sammy Solis assigned to Potomac Nationals. June 10, 2013 Potomac Nationals placed LHP Sammy Solis on the 7-day disabled list. May 21, 2013 LHP Sammy Solis assigned to Potomac Nationals from Harrisburg Senators. March 29, 2013 Sammy Solis roster status changed by Harrisburg Senators. January 1, 2013 LHP Sammy Solis assigned to Harrisburg Senators. August 18, 2011 Potomac Nationals activated LHP Sammy Solis from the 7-day disabled list. August 6, 2011 Potomac Nationals placed LHP Sammy Solis on the 7-day disabled list. July 4, 2011 LHP Sammy Solis assigned to Potomac Nationals from Hagerstown Suns. May 30, 2011 Sammy Solis assigned to Hagerstown Suns from Potomac Nationals. May 11, 2011 Sammy Solis assigned to Potomac Nationals. September 1, 2010 LHP Sammy Solis assigned to Hagerstown Suns from Washington Nationals. August 31, 2010 Sammy Solis assigned to Scottsdale Scorpions. August 16, 2010 Washington Nationals signed LHP Sammy Solis.